When facing in the right direction, all we have to do is keep on walking. The swirled path on this sterling silver pendant represents a journey towards fulfillment. 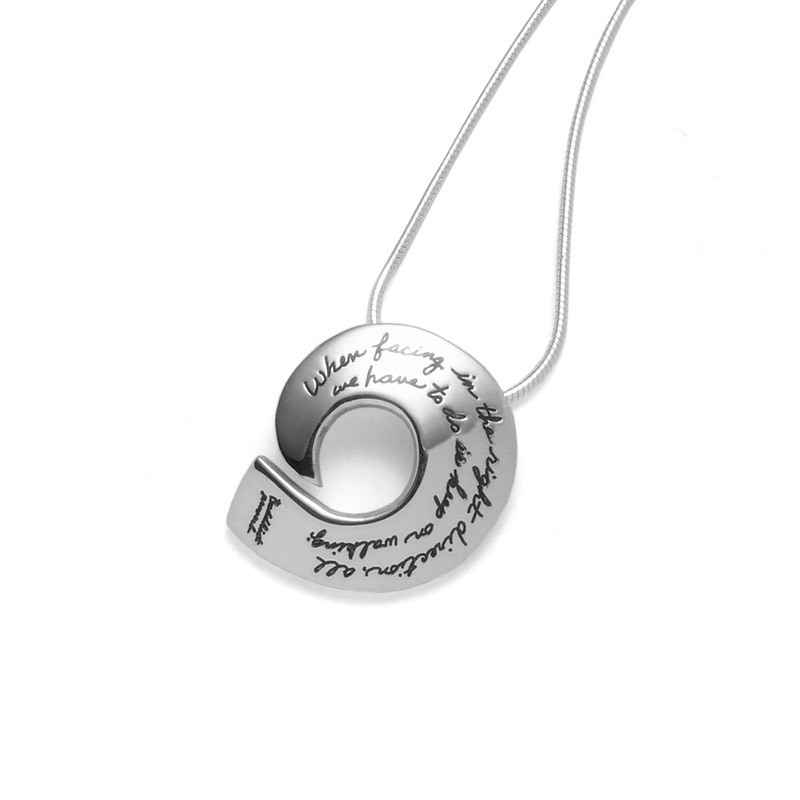 The inspiring proverb engraved in handwritten script will inspire the wearer daily, especially on days when the destination seems far out of reach. This necklace reminds us pursing a dream with patience will pay off.